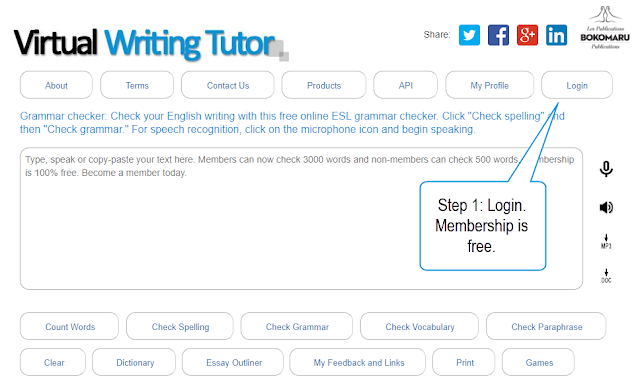 The Virtual Writing Tutor has added a community forum to its free grammar checker. Post your text, tell the community what kind of help you need, and benefit from the free proofreading service that the community can provide. You can get help with your grammar, spelling, punctuation, and structure. It costs nothing to join. Try it today. 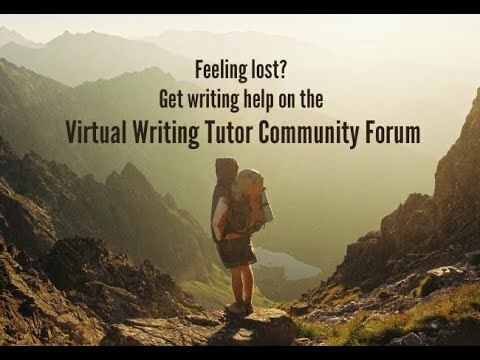 If you don't need help with your writing, why not help community members with their writing. A comment or two will mean a lot to struggling writers who need a proofreader. Create hypertext narratives with the Virtual Writing Tutor, and improve your vocabulary, grammar, and digital literacy skills in the process. I'm studying Sciences at Montmorency College to become a pharmacist. It's my final year of college, and I'm perplexed. I'm not sure which university I want to go to. Choice 1 : Go to the University of Montreal. Choice 2 : Go to the University of Laval. Go to the University of Montreal. I am happy that I have chosen to study at the University of Montreal. I love the professors here, and I'm happy that I am close to my family and friends. After two years of study, this is my last year at university. I wonder what I can do after finishing my studies. Choice 1 : Work for the army as a chemist. Choice 2 : Get a foot in the door as a research laboratory chemist. Go to the University of Laval. I decided to move to Quebec and live on the campus of the University of Laval. I have been living here for 2 months, and it's almost the end of the semester. I'm tired of all these exams and I miss my family and friends. I seriously wonder if I want to continue my studies. What should I do? Work for the army as a chemist. I decided to join the army. After the mandatory background check, I receive a modest salary with benefits since I work for the Canadian Forces. The Sergeant Major has just told me that he is forming a group made up entirely of chemists to work on a top-secret project. He wants me to learn the ropes and then to synthesize a chemical that is easily diffused in the air and has the ability to attack a person's nervous system. The amount that we have been asked to synthesize is enough to kill millions of people! What have I gotten myself into?  Work in a research laboratory as a chemist. I have been working for 5 years in this laboratory looking for a cure for cancer. The equipment I use allows me to produce the compounds I want, and infrared spectroscopy allows me to check the purity of these products. My data tells me that it is better to add spores of a new species of mushroom that grows in Brazil to treat cancer. I don't know if it's a good idea since I don't know the effects of this fungus on humans. Start your own chemical company. Write this part of the story here and present your reader with choices. Agree to join the top-secret group. Refuse to join the top-secret group. Fix the problem in the protocol. Say nothing and hope that the reaction doesn't work. Stay late and wait for the Sergeant Major. Add the mushroom spores to the treatment. Kill them both and destroy the treatment. Try to scare them away with the gun. I started to feel strange. Quit school and drive a bus. Continue studying at school and finish my degree. Check out this new feature on the Virtual Writing Tutor grammar checker at VirtualWritingTutor.com. 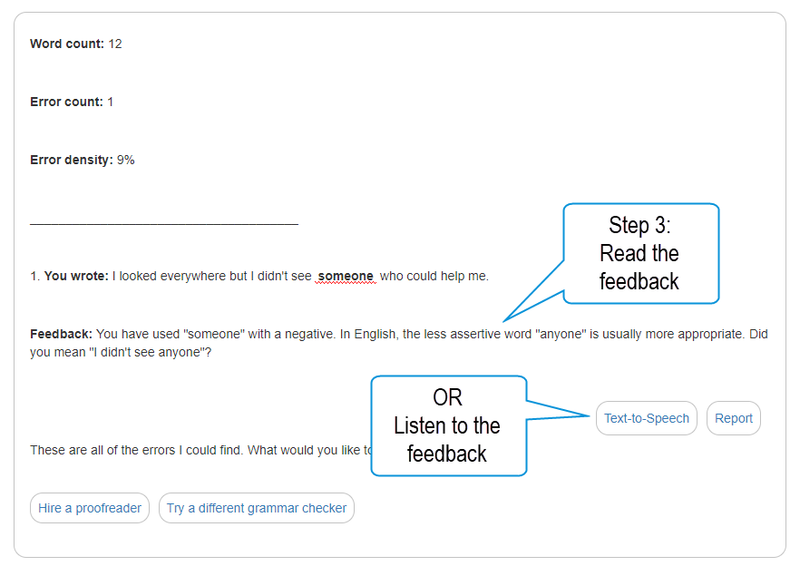 You can now change the layout to see the feedback on the right while you correct your grammar on the left. 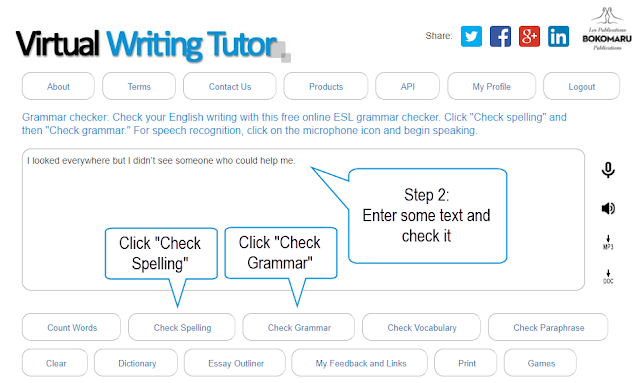 You may already know that the VirtualWritingTutor.com website provides corrective feedback on common English Second Language errors for free. What you probably don't know yet is that the VWT can speak. By using text-to-speech, the VWT can explain and suggest corrections orally. The exciting part is that there is evidence that hearing corrective feedback may be more effective than reading it. For example, Sobhani and Tayebipour (2015) found that unfocused oral feedback on students' writing errors was superior to unfocused written feedback. 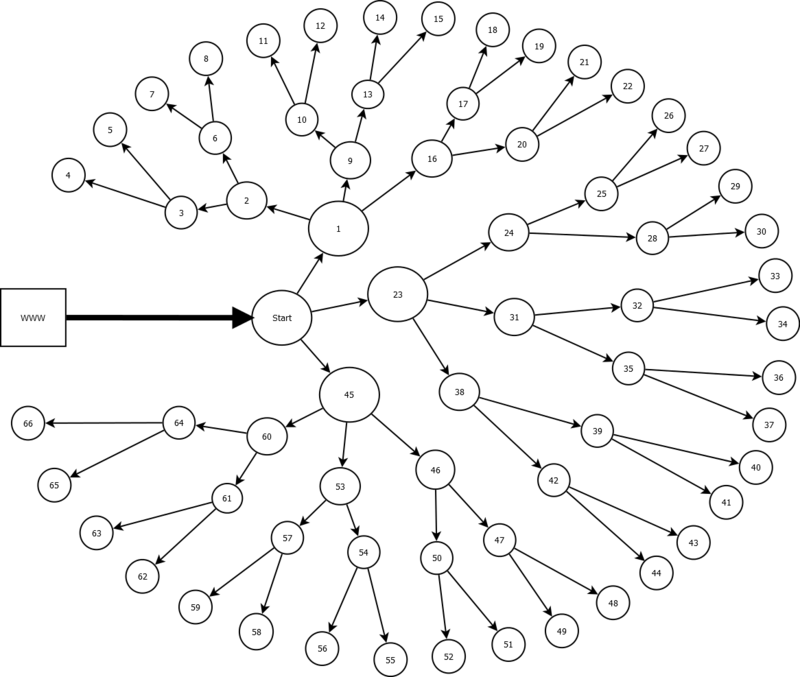 Since the VirtualWritingTutor.com does not restrict feedback to specific target structures, the feedback it gives is by definition unfocused. In an earlier study, Jordan (2004) found that the combination of oral feedback with written comments on students' exams was more comprehensible and encouraging than written feedback alone on written exams. While it is doubtful that learners will find it more encouraging to listen to corrective feedback generated by a voice synthesizer on the Virtual Writing Tutor, listening to feedback might indeed make it more comprehensible. 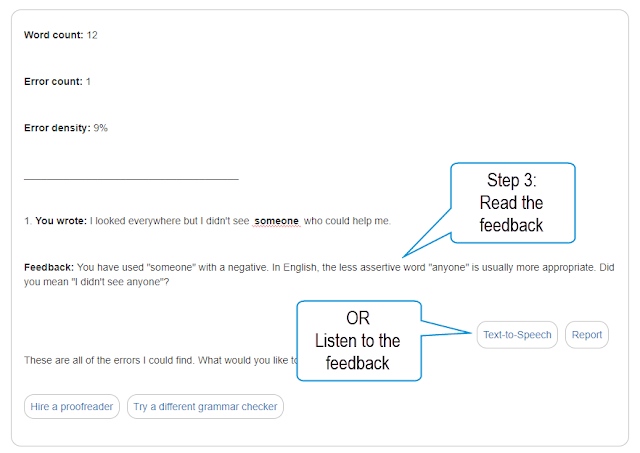 To explore this exciting possibility in computer-assisted ESL pedagogy, we added a text-to-speech button next to each corrective feedback message. The steps you need to follow to try it for yourself are below. You will need to create an account on the VirtualWritingTutor.com. It is 100% free to create an account and membership entails no obligation. Enter some text and click "Check Grammar." Finally, click on "Text-to-Speech" to hear it read to you. Please share and like the VirtualWritingTutor.com on your favorite social media sites if you like this new feature. written comments. Journal of Statistics Education, 12(1), 20-27. 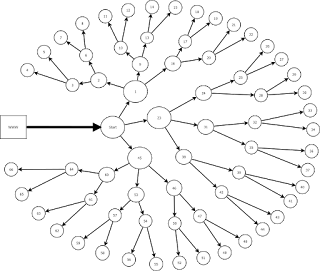 Start here or see the diagram. Write the beginning of your story here. After reading this, your reader will have to make a choice. You decided something which brought you here. Briefly say what the choice was and then develop the story some more. After reading this part, your reader will have to make another choice. You decided something which brought you here. Briefly say what the choice was, provide closure, and end the story. Start again: Write a sentence that will take the reader to the beginning again.